As con-artists and scammers search for new targets, they have extended their nefarious activities to our deceased loved ones and friends. Identity theft of people who have died is now not just limited to Chicago, it is a world wide problem. Estate planning attorneys offer several steps to clients to help avoid and prevent identity theft. When you are working with your estate planning attorney, make sure you cover this topic. This article: How to Prevent After Death ID Theft published by the American Academy of Estate Planning Attorneys has several important and effective steps to follow. Let us know your thoughts by joining our conversation on estate planning topics and issues. Your contribution is welcome. When we started this journey into the world of estate planning, we began to learn how to approach estate planning, certain concepts about wills and other documents and why estate planning is unique to each client. Here in Chapter 5 we discuss how to select a qualified estate planning attorney to assist you with your estate plan. While many attorneys will do a will or power of attorney for you, they may not be specializing in the field of estate planning. Not being a specialist limits the attorney's skill set and prevents you from the benefits of the advice of a qualified expert. Working with a specialist gives you the best chance to get it right the first time. For example, would you let your dentist do your heart surgery? The idea is to treat attorneys the same as doctors; deal with the right specialist for the job at hand. Here is an article I wrote on this very topic that illustrates this point: Dealing with Specialists in Estate Planning As you will learn in ths chapter, not only is dealing a specialist attorney important to your family and you, there are simple steps to follow so you can find the right one. Learn the process of choosing the right estate planning attorney. Many people mistakenly rely on a referral service such as you might have in your community. 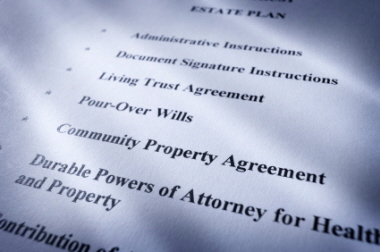 These lists are dangerous and usually hazardous to your estate plan. Referral lists are usually paid services that charge people to be listed. They do not vet the people they list and this permits someone with no true expertise and experience to call themselves an estate planner when, in fact, they are not. When you follow the steps laid out below, you can steer clear of these problems. 1. Interview and ask for referral from other professionals. One of the best ways to locate an estate planning specialist is to ask around. Ask your CPA, your banker, your life insurance agent. Professionals know who the experts are and getting referrals from other professionals you already trust is a good starting point. Interview each person. Insist on a free consultation via phone before you make an appointment. Remember that your estate planning meeting will usually have a charge, so do those phone consultations first. 2. Insist on real estate planning experience and expertise. A. Full time estate planning specialization for at least the last 7 consecutive years. Estate planning is not an area for part timers or people who wear other hats. B. Membership in the State Bar Association Trust and Estate Section. C. An AV rating from Martindale-Hubbell, the international attorney rating service. These ratings are peer ratings and cannot be purchased by the attorney. The AV rating is the highest rating for ability and professionalism an attorney can achieve. While these qualifications are not difficult to have, you should insist on them when you are choosing your estate planning attorney. 3. Have a clear understanding before beginning how the attorney bills and the time frame for completion of your estate plan. As we are exploring in this book, there are several integrated steps in every client's estate plan. Make sure you are clear what those steps will be for you, how many meetings to expect, the time frame for the process and each step, what your homework between each meeting is, and how the attorneys fees and costs will work. Once you have selected your estate planning attorney and understand the process for your estate plan, it is time to begin. In our next chapter, we start our discussion of the components of every estate plan and begin to dissect the tools of estate planning such as wills, trusts and related documents. I hope you are enjoying this book on estate planning. Since the book is published in this interactive format, we are able to adjust our content as we proceed based on your comments. Please feel free to comment and offer suggestions as they are greatly appreciated. Thank you. In Chapter 3 of Introduction to Estate Planning: A Course for Consumers, we discussed identifying estate planning goals and objectives. The client's (your) goals are analyzed by the estate planning attorney and client to set the direction of the client's estate plan. Here in Chapter 4 we review the basic components of every estate plan. These components are considered in every client's plan in some form. As you read the components, ask whether these have been considered in your existing plan and how you know that. Making sure these are all covered in critical in having a current estate plan. To preview future chapters, in Chapter 5, we will cover the specific steps to follow to identify and locate a qualified estate planning specialist to work with, so stay tuned.Also, in future chapters we will cover estate planning details and specific strategies. The testamentary component addresses where property or assets go and how they are handled upon the death of the client. There are numerous ways to address this component using wills and/or trusts which we will cover in future chapters. This component addresses who will make decisions (both financial and health care) for the client after the client's incapacity. In this component there is also focus on the client's specific wishes about care at the end of life. The titling component focuses on how the client's property and assets are titled and how beneficiary designations are structured. This is critical because the estate plan can be defeated if property is improperly titled or if beneficiary designations have money going contrary to the estate plan. This component analyzes the probate impact to the client, family and property of various estate planning and titling options. For example, if the client owns a vacation home in a different state, failing to address that could result in a two state probate process. The tax component focuses on the income, gift and estate tax impact of the estate plan and titling options the client is considering. For example, as we will see in future chapters, since the estate tax exemption is $5,340,000 for 2014, clients have greater freedom to plan their estates without worrying about the federal estate tax. However, since Congress frequently changes these exemptions, this component requires a continuing look by every client. Since every client situation is unique, how these five components are addressed will vary between clients. Still, every client will review all five of these components in the design and implementation of their estate plan. In Chapter 5 of Introduction to Estate Planning: A Course for Consumers, we will focus on how to choose a qualified estate planning specialist. Picking the right estate planning attorney is another fundamental building block of each client's estate plan. As always, thank you for your questions and comments which are welcome. In Chapter 2 we discussed how the process of estate planning works. In this Chapter 3, we explore how to identify goals and objectives that drive the estate planning process. As an estate planning attorney, the process of goal identification is critical to assisting clients in moving forward with their estate plan. With each estate plan individualized to each client, understanding what each client intends to accomplish is critical. Many people say, "I know I need a Will", but when asked why, very few can actually identify any real reasons. The reason to deal with estate planning specialists is to have qualified guidance in understanding why you are doing any part of the estate plan. Let's start with goals that many clients seem to share. As your read through the list, ask yourself if any of the items listed are important to you. As you begin to identify your estate planning goals and objectives, you are searching for what is important to you and your family. 1. I want to protect my spouse if I get sick or die. 2. I want my estate to go to my spouse and then to my children. 3. I want my family to face the smallest amount of costs with my estate. 4. I want to save taxes. 5. I want to avoid probate. 6. I want my estate to pass free of Court involvement or supervision. 7. I don't my spouse's next spouse to get my money. 8. I want the inheritance I leave to my children to last for them and not be taken in a divorce or their creditors. 9. I want to know who will raise my children if I am not here. 1. I have a disabled child and want to make sure they are provided for. 2. I am taking care of a disabled parent. How can I protect them. 3. I want to pass my business interest to one child but not short change my other children. 4. 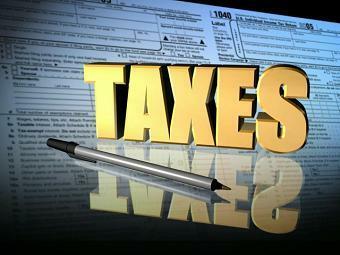 How do I minimize estate taxes? 5. I want a Will. As you can see, goals can be as creative and as numerous as there are people. Bear in mind that the purpose of this chapter is not to tell what you goals should be. The purpose of this chapter is to start you thinking about what your goals are. 1. Pretend that you either died or became disabled yesterday. I suggest yesterday because it can't happen and it will help you focus your thinking. As you think about that, think about how you want things to work, who you want to protect and what you would want your situation to look like in that event. Then start writing all the things that pop into your mind. As you write that list, you start to identify the things that are important to you. This list becomes your starting point with your own estate plan. Your list is yours alone and that is why your estate plan is yours alone. Your list of goals and objectives is what your estate planning attorney will use to guide you in designing and building your own estate plan. As you think about your situation, do you have things on your list that are not covered here? That's great and you are on your way to starting your estate plan. If you would like to share a goal not listed here, that could help others that read this in their own thinking. In Chapter 4 we will cover how your estate planning attorney uses your list of goals to begin the process of designing your estate plan. The first step is to understand the components of every estate plan and that is where Chapter 4 starts, with The Components of Every Estate Plan. Thank you for your questions and comments. 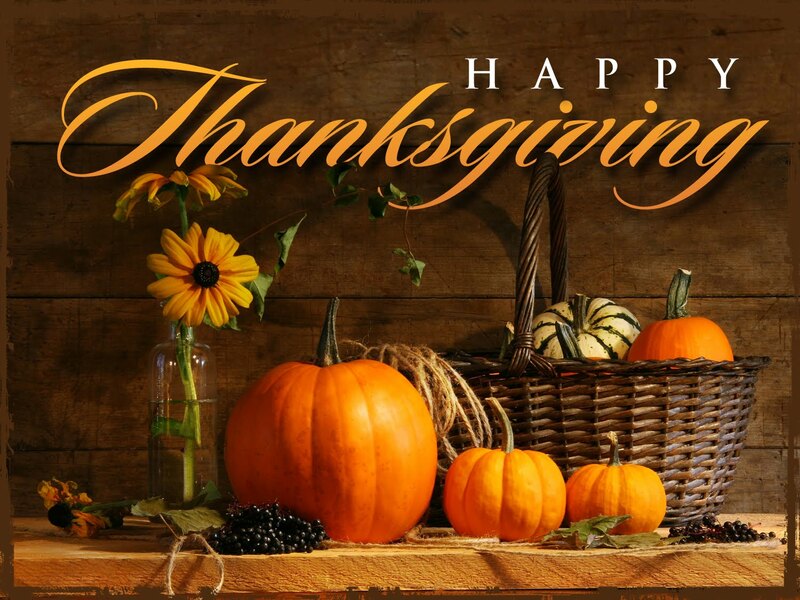 We appreciate each and every one and look forward to any you have about this Chapter 3 of Estate Planning: A Course for Consumers. With all of our posts on estate planning and Wills, it's time to help you with those New Year's Resolutions. In our next series of articles we will explore the world of estate planning from the consumer's perspective with our course on estate planning. 1. Introduction to estate planning-what is estate planning. In this introductory section we will discuss what estate planning is and is not. We will also provide you guidance on how to start to think about your own estate plan. 2. What is a Will. 3. What is a trust. 4. 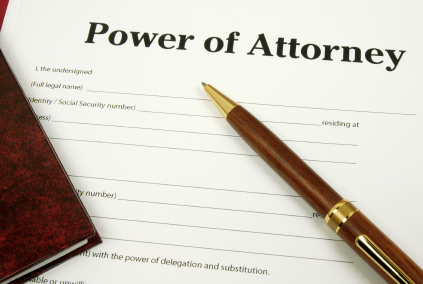 What is a Power of Attorney. 5. The basic components of every estate plan. 6. DIY vs. working with a specialist-which is better? If you would like an article on other estate planning topics, just let me know and we can add that topic to the list. Common Sense: What a Concept! Do you use common sense before acting on what you read on the internet? Wouldn't it be great if we could all use some common sense before acting? Of course it would and yet our lives are full of numerous examples of where this concept did not hold true. Among the many examples of this is how often people act without thinking from something they read on the internet or receive via email. Have you ever clicked on a link you shouldn't? Have you ever read something and acted on it without considering that it may have come from an internut? That's right, I didn't misspell, I said, "internut". That is the common nickname for the con artists that have infected the internet, they are referred to internuts. I like to just call them con artists and hope that you will too. My message today is about exercising some common sense before you act on things you encounter or read on the internet. Just because you read it there is reason for pause. I advise ALL clients not to act on internet advice before checking out with their actual advisors. I can tell you that the clients who followed this advice saved themselves a ton of money. 1. Stop before clicking and acting. 2. If something sounds too good to be true, it usually is. 3. Never, ever trust an internet source as your only source. Verify, check out and take it to your CPA, lawyer or other advisor before acting. Ask a trusted friend or family member before jumping into that offer. Three easy and simple steps and added up they equal common sense. Let me know your thoughts and please join our conversation. I look forward to hearing from you. Thank you. Did you know that professional athletes have to do their estate plans, just like you do? Here is a list of the mistakes NFL players make and the list sounds familiar doesn't it? The Super Bowl is this coming Sunday and my favorite team is playing. You can guess who that team is since I live in Colorado. And wouldn't you know, an estate planning attorney can weave estate planning into a discussion of the Super Bowl. Here is an excellent article that discusses how professional athletes must pay attention to estate planning to make their very short careers of value in their lives. Let me know your thoughts by joining our estate planning conversation. Also, let me know if you can correctly guess my favorite team. There comes a time in your life when your roles as children will reverse. In this article on the American Academy of Estate Planning Attorneys Blog, this reversal of roles is discussed as relates estate planning. Have you had this talk with your parents yet? Have you noticed a changing of the roles with your aging parents? For all of us this time will come and since estate planning and conversations about estate planning always are an act of love, having this conversation with your parents is am important transition in life. 1. Remember that talking with your parents about estate planning is an act of love and not an attempt to gain favor or money. 2. Parents are less likely to enjoy this role reversal than you may be. Be sensitive to this and remember that your parents deserve their autonomy as long as it is safe for them. 3. Estate planning is a process that requires deliberate thought and expert guidance. You and your parents will fare better with the guidance of an estate planning specialist. Let me know your thoughts and please join our conversation on this and other estate planning topics. Thank you for your interest. As you start this new year, you may be thinking of finally finishing the traditional resolution of completing your Will or estate plan. That's great and there are several things you will want to know and understand before starting. In this article we explore what those are and how not knowing them is hazardous to yourself and family. 1. 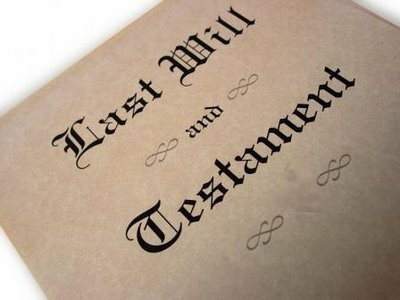 Your Will and Estate Plan Require Thought and Consideration. To be more accurate, we should pair those two words and say that your estate plan requires thoughtful consideration. Such deliberation is required from you and from your estate planner. Why is this so? 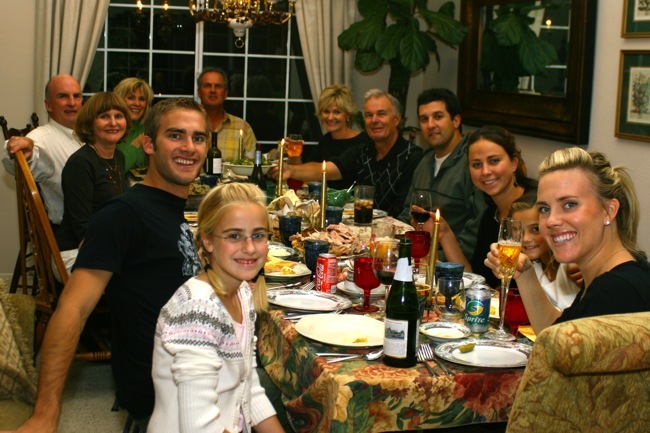 Consideration is necessary because everyone's situation and family are unique. There is no one who is you or even like you. Our family structures vary, have different issues and with today's more and more common blending of families, this couldn't be more true. 1. Do you have particular people you want as your decision makers if you are incapacitated or upon death? This makes you unique. 2. If you have kids, do you care who will raise them if you are not here to do so? If so, this makes your situation special and those desires need to be considered. 3. Do you want to protect your spouse from creditors and predators when you die? 4. Do you want your spouse to leave your assets to a new spouse or relationship upon your death? These are only four of hundreds of factors and issues that a qualified estate planning specialist will review with you as you embark on the design of your estate plan. Without thoughtful consideration, there can be no thoughtful and useful estate plan. Ever. 2. Wills and Estate Plans Are Not Commodities-As Products vs. Plans, They Always Fail. As an estate planning specialist, I was trained and I believe that estate planning involves something critical and that critical element is in it's name, PLANNING. Wills are not like hamburgers or fruit that you just buy from some street vendor or shopping mall. Notice the picture below, this is what the internet looks like if you are using it to buy a form. That's right, the internet is just one big street bazaar. Some would have you believe that you can just drive by, or surf on the internet purchase a Will or estate plan. You can't, these don't work and represent a boondoggle for estate lawyers like myself to straighten out. Your Will is not a piece of fruit and if you treat like one, it will be rotten before you need it and after you do need it, it's too late to fix. So what is missing from these internet Wills and fill in the blank form documents? The element that makes estate planning special, the planning element. It is the planning element that takes into account the first rule, that one above we discussed known as thoughtful consideration. If you treat your estate plan as a commodity, a piece of fruit, you are saying that your situation, your family, your spouse, your kids, your goals and objectives don't count. Simply stated, that is not estate planning. 3. Property Must be Titled Correctly and Beneficiary Designations Must be Coordinated with the Estate Plan. Several years ago there was a movie titled, Failure to Launch. It was a romantic comedy about someone who just couldn't get their life in order to have a successful relationship. Well much the same is true about your estate plan. It won't matter how good your plan and documents are if the plan fails due to improper titling and beneficiary designations. This is another example of the "planning" part of estate planning. A qualified estate planning specialist can guide you to ensure that all property is correctly titled and that any beneficiary designations are properly drafted. By doing so, you will know that the effort you put into your plan will be worth it. What are your thoughts about these three rules? Please join our conversation and let me know of any questions you may have. Feel free to email me or call me at the contact information provided. Thank you fr your interest in protecting yourself and your family. For more specific information, contact your insurance advisor immediately.